home Entertainment How Strong is the Dragon Ball FighterZ Villain Majin Android 21? How strong is yet to be revealed villain in Dragon Ball universe Majin Android 21?? The popular combat game Dragon Ball FighterZ is getting wide acclaim from the fans of both the action video game genre and the anime/manga franchise Dragon Ball. The game features a superb sophistication with intuitive play styles and equally detailed graphics taken from the principle art design and animation. The virtual plaything also boasts the fan-favorite fighters from both Dragon Ball Z and its sequel series Dragon Ball Super. 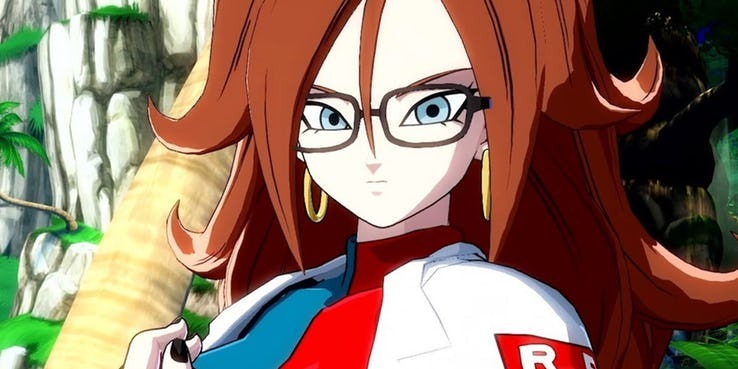 However, the new highlight of the game is the introduction of a brand new character, Android 21. Designed by franchise’s maestro, Akira Toriyama, the Artificial Human #21 had two dueling nature within her—one good, one evil—each completely trying to take over the character’s mind and body. With her android body enhanced by the cells of countless warriors and scientists, the personality is a formidable opponent and serves as the final boss of the game's story mode, with the Z Fighters rallying to beat her for good. Given how narrowly that final victory is achieved, the evil Android 21 may be one of the strongest challengers Goku and his friends have ever faced. Android 21 and Dr. Gero bears a son together while is later killed in the combat while working as an army for a criminal organization. 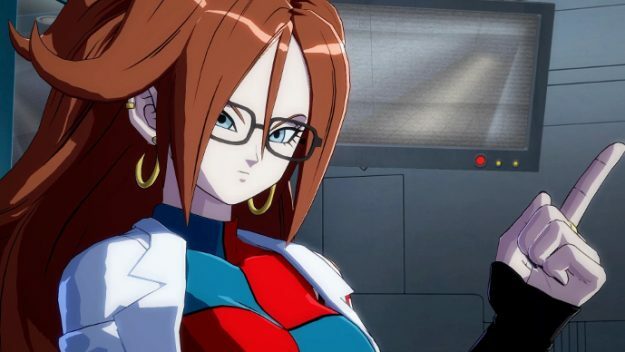 Android 21 is initially the mistress of an ominous leader of the Red Ribbon Army, Doctor Gero, both of whom bears a son together and later employs him as a soldier to work for a criminal organization. After being killed, Gero and Android 21 create Android 16 to resemble their late son and give him a peaceful characteristic to better reflect his personality. After swearing vengeance on Goku for destroying the Red Red Army, Gero transfers his intellect into the body of Android 20 whilst also beginning the process of transitioning his wife's mind into Android 21. However, the evil scientist is later killed by Android 17 whereas his wife evolution into Android 21 is completed by Gero’s supercomputer. 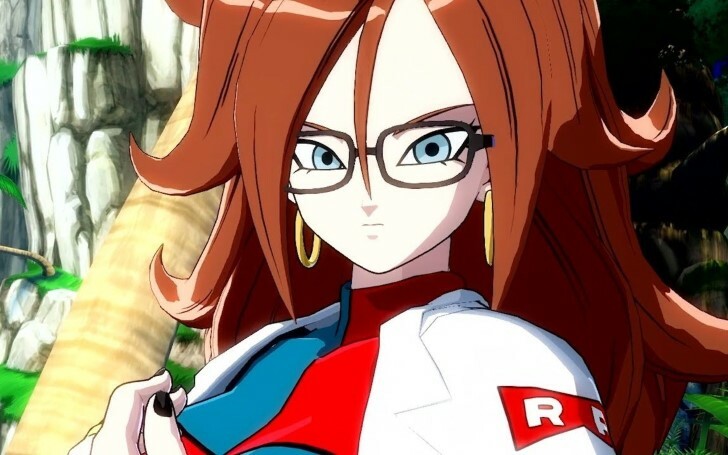 Android 21 takes her husband, Dr. Gero role by becoming the Leader of the Red Ribbon Army. Much like Cell, Android 21 is also a merger of DNA taken from Earth's strongest fighters, including Goku, Frieza, and Majin Buu. 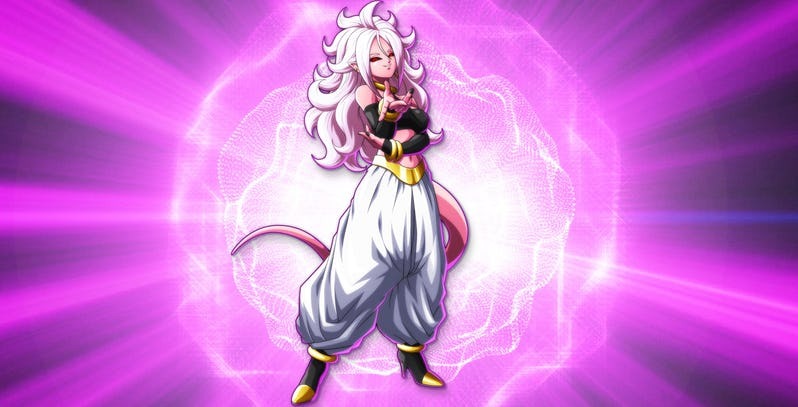 As such, when her menacing personality takes over, Android 21's appearance takes on a pink tone with red eyes similar to Majin Buu, the most powerful baddie in Dragon Ball Z. Taking the fake identity as an ex-researcher of the Red Ribbon Army (that deserted the organization after learning of its wicked ways), Android 21 tricks the Z Fighters to use the Dragon Balls to revive their greatest enemies to create clones of everyone and form a new Red Ribbon Army. Ultimately, with aid from Android 21's (the one with a good personality), Goku is able to destroy the bad Android 21 with a Super Spirit Bomb. Majin Android 21 is considered to be even more powerful than evil Buu and Cell. Being created from the cells of multiple powerful and super intelligent species, Android 21 is one of the most powerful artificial fighters in the series and the most powerful female Android created through Dr. Gero's research easily surpassing the capabilities of Android 18. Like Majin Buu and Cell, she can increase her might by absorbing other life forms, which she does by devouring after turning them into sweets. Additionally, due to the genes of countless scientists, she has a relatively high IQ which even rivals the comprehension of Dr. Gero himself. This allows her to utilize her husband’s research for her own purposes. Though her evil split personality and hunger alone makes her a much-feared character of the entire franchise. Her evil persona propels her to persuade galactic conquest while her impulse to hunger drives android 21 in the continuous pursuit of feeding. Occasionally, her good personality uses her intellect to often oppose her dark urges. The wicked 21 is very manipulative and uses her wit to exploit her enemies and 16, thus she is more threatening than Cell who while being an intelligent fighter tends to rely more on his power, whereas evil 21 plans her moves with more farsightedness. Dragon Ball FighterZ is developed by Arc System Works and published by Namco Bandai Entertainment which has been made available for the PlayStation 4, Xbox One, Nintendo Switch, and PC.